I’ve just finished packing for Handmade in Britain at Chelsea Old Town Hall, the renowned, high-end contemporary craft and design fair which is being held over the weekend. I’m launching a new range of tableware there, inspired by Mid Century Modern and made in three toning colours, yellow, grey and turquoise. 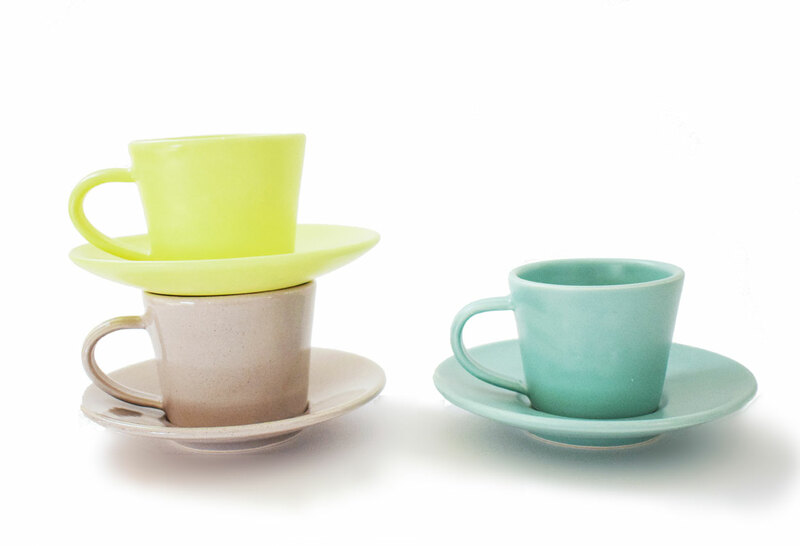 Above are three espresso cups from the range. Chelsea has been the location for pre-Christmas craft fairs for many years, once run by the Crafts Council, but relaunched ten years ago by Handmade, who are now established promoters.